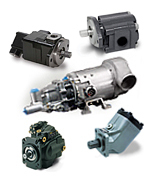 At Bernell Hydraulics, keeping your hydraulic system in peak working condition is our main priority. We will do whatever it takes to achieve this, from helping you service and maintain your equipment on site to recommending the right parts for your system’s operational requirements. We often recommend Parker hydraulic components in Alhambra CA for their long history of outstanding performance. A malfunctioning part can cost you serious time and money while on the job. At Bernell Hydraulics, we provide fast and effective repair services to help minimize the costs associated with this downtime. We will not only help you replace any failed parts, but also examine your system to see how those failed parts may have affected its overall integrity. We may recommend replacing any stressed parts with Parker hydraulic components in Alhambra CA as a preventative measure. Thanks to our huge inventory of Parker parts, it’s highly likely that we will have the part you need in stock and be able to complete the repair the same day you call.